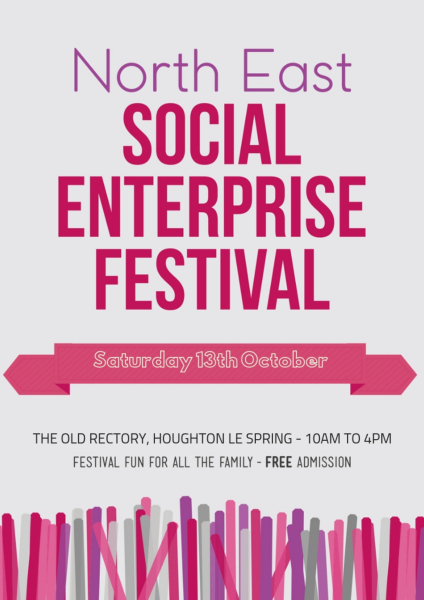 The North East Social Enterprise Festival 2018 is coming to Houghton-le-Spring this autumn. The Old Rectory and Rectory Park is hosting a festival for social enterprises to showcase, demonstrate and sell their products and services. The Festival will be held on Social Saturday and on the penultimate day of the ancient festival of Houghton-le-Spring, Houghton Feast, featuring a schedule of events spanning two weeks and attracting thousands of visitors. Join Social Enterprise Acumen to see a fantastic array of creative ways to combat social problems. Jewellery, food, bouncy castle, go karts, animals, crafts, furniture, fitness workshop, technology, meditation and business skills will all be displayed. The organisers are inviting Expressions of Interest to Trade at this event. There’s free traders parking, indoor and outdoor pitches available. To express your interest, please complete this form by 14th September.